When it comes to wine, many consumers tend to stick with one or two reds and one or two whites they like and leave it at that. 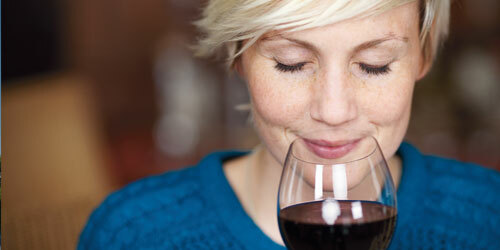 If that’s you, it’s time to explore new options by sampling the following wines. You may not have heard of them, but take one sip and you’ll love them. The 2012 Old Vine Zinfandel ($12), produced in California’s Lodi County, is made from grapes grown on vines that range between 50 and 100 years old. The result is a rich, robust zin that shows surprising supple textures on the palate. It’s the perfect wine to pair with pepperoni pizza, cheeseburgers or Memphis-style barbecued ribs. – B.H. Seeking a red that shows luscious fruit on the palate and is tailor-made for meals that include foie gras, lamb or salmon (and will also improve with bottle aging)? Then the 2011 Trione Russian River Valley Pinot Noir ($37) is meant for you. Fortunately, the winery recently secured a distributor in Florida. Lucky us! – B.H. Sonoma-based Stone Edge Farm makes only one wine. It’s organic, and it’s red. But you won’t find it in any store or any wine shop anywhere. Their superb 2010 Surround Bordeaux Blend ($50) can only be purchased through the winery’s web site at stoneedgefarm.com. Welcome to the 21st century. And welcome to discovering a wine that is going to please you like few do. – B.H. The venerable Parducci winery was founded in California’s Mendocino County in 1932, but they remain a well-kept secret for too many wine consumers. Discover the winery for yourself with the 2012 Parducci Reserve Petite Sirah ($30). With its fruit-forward tastes of blackberries and dark chocolate, this red is at its best when served with grilled foods like Portobello mushrooms or rib-eye steak. – B.H. If you prefer something different in white, opt for the 2013 Carmel Road Unoaked Riesling ($16). Produced in California’s Monterey County, this easy-to-like succulent white shows hints of papaya and lime, and I smell gardenias and honeysuckle on the nose. It’s a great cocktail wine that also pairs perfectly with spicy Chinese and Indian foods and Japanese sushi. – B.H. Paul Hobbs Winery’s 2012 CrossBarn Pinot Noir ($35) is another California standout from the Sonoma coast. The hand- and night-harvested grapes, aged 10 months in oak, produce a jammy red currant and cola delight ready to fall in love with now. – M.G. From under the Tuscan sun, the Antinori family’s 2008 Badia a Passignano Chianti Classico DOCG Riserva ($53) is a ripe red fruit and licorice treat. “The estate has served to take Piero Antinori’s experimental work with Tuscan wines to a higher level,” the makers say. We say si. – M.G.